Your emotions are the one thing in life you can always count on and they will never leave you. Whether they are guiding you by letting you know the way you are thinking is detrimental to you or they are the caused of something that you are experiencing, the result is the same, communication to you about you. The best things you can learn to do is to be very mindful of how you are feeling at any given time. 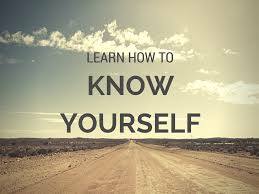 Check in with yourself periodically and learn to know yourself. Just because you may be feeling sad or angry, doesn’t mean you are justified in it. All it means is that however you are thinking right now is giving way to these emotions. This is why the same thing could be happening to 10 different people and they could have 10 different emotions and none would react the same. How you react is based on your previous life experiences and none of those are wrong. That is why it is so important to lose the judgment of other people and how they respond to their lives. Not that they shouldn’t try to make progress and learn to respond in ways that are more beneficial, but they need to do it when they feel capable and not when we think they should. Your emotions are a valuable asset and if you can learn to pay attention to them you can use them to great advantage. For example: Perhaps I have set an intention I want to have more money, but then I go out for dinner and when the bill comes I get anxious about spending the money. The emotion that follows this thought is going to be one of worry and lack, it is not going to feel good. This is when listening to your emotions can be very valuable. Now you can learn through your new awareness to walk yourself back out of this wrong thinking. When you catch yourself soothe yourself out of it. Tell yourself that you really enjoyed the meal, you are grateful you got to go, and you are looking forward to the time soon when you can go a lot more often. By walking yourself back out of this negative emotions you will feel immediate relief and once again your emotions are your indication that you are moving in the right direction. You'll Never Get Anywhere Pushing Against Anything! It is safe to say that any time you are pushing against anything you are counterproductive to yourself and the cause. The negative emotions you feel as you do it are your indicator of it. If you can somehow give up the need to be right and no longer feel the need to change another to suit your needs, you can start to have an easy time of life. I can tell you it’s much easier said than done. But it can be done and here's how. 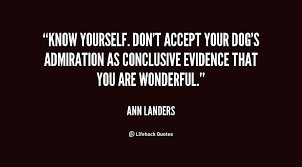 One way I have found that works are to use self-reflection. Each day when you wake up take about 15 minutes to sit with yourself. Go over how you did the previous day. Where did you have trouble? What happened that took your peace away? Go back through each of the situations that come to you. Jot these down on a piece of paper. Read them over a couple of times so they really sink in. Now ask for assistance in releasing these behaviors from your experience. Imagine them floating up and away. Tear up the paper and throw it away. Next, close your eyes and imagine a new way of being. See yourself clearly in all these encounters from the day before, behaving and acting exactly as you wished you had. Really become this person. Write down all the new traits that the new you have. Now ask for assistance in these things being brought into your experience. Imagine them all coming into your being. Tear up this paper and give gratitude for gifts granted. If you do this simple practice each morning the transformation you will experience will be life-changing. Little by little you will become the person you have envisioned yourself to be. You will find that when you do occasionally slip back into an old pattern, you will immediately catch it and reconsider. This is what is meant when you are told to know yourself. When you know yourself nothing gets by you. Only you know the thoughts you have, the secrets you hold, that no one else knows. Unfortunately, you have forgotten about the most important person in the world, you. You know your thoughts and you can’t hide from them, you can only pretend to others that they don’t exist. This is what creates a false sense of self, one that lacks character and confidence. Real confidence comes from feeling good about yourself and you can’t feel good if you're not good. I am not talking about being perfect, I am talking about doing your best. This process is to be done with gratitude and compassion. You are not supposed to feel bad or ashamed, you are supposed to feel grateful for catching yourself and witnessing it. Shining a light onto areas of the self that are wounded and reactive, is the first step to healing. Every negative thought we have is giving way to a wound that we are not willing to look at. Once we start to be aware and summon help from the highest part of ourselves, we can transcend these old ways.